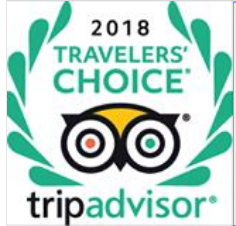 Hotel Casa Ordoñez in Historic center of Cuenca, Ecuador has a Tripadvisor Traveler's choice nomination for 2018 and a top Ecuador B&B. The Ordoñez family roots go back to the founding of Cuenca and has been closely related to its history. Casa Ordonez has been kept in the family for generations. Cuenca is a spanish colonial city in the Andes nominated as a World Heritage Site by Unesco. It has also been named the best place to retire for several years. “Above and beyond”-Great location, Strong Wifi, lots of hot water. 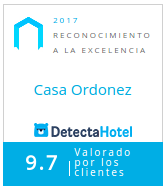 The absolute best part is the people who run it....they could have not been nicer or more hospitable..
Casa Ordoñez is located in the heart of Cuenca, providing a quiet and comfortable home-style sojourn in the animated city center. The house has been with the Ordoñez family since the year 1906, when it was constructed, and has been renovated to provide all of the amenities necessary for a pleasant stay. The family-run boutique hotel is walking distance from a great portion of Cuenca’s attractions, such as the Parque Calderon and the main Cathedral, in addition to some of the best restaurants to release your inner-foodie. 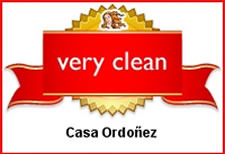 Casa Ordoñez strives to make your stay in Cuenca as if you were in a your home.